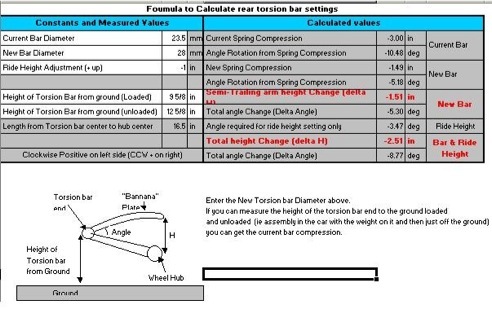 What this procedure does is to calculate an effective stiffness of the rear suspension. 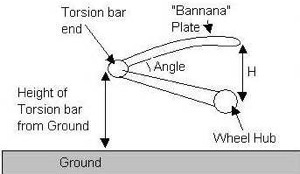 Then using the rule that torsion bar spring rate goes by the 4th power of the diameter it can calculated the relative increase in stiffness. Then careful measurements allow you to set the bar before you install it in the car. This way once it is the car it set to go and only minor adjustment of the spring plate is required to get it spot on perfect. No more adjust install in the only find it is hosed and do it again. 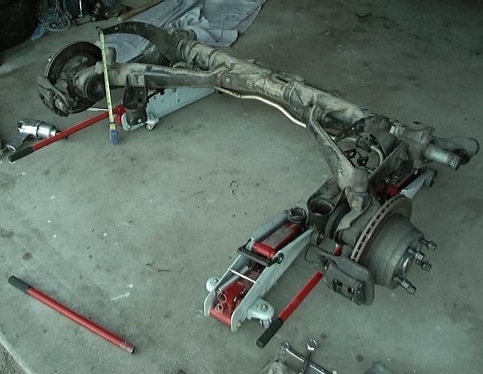 1) Remove or disconnect the rear swaybar. 3) Lift the car on one side just to the point that the rear tire comes off the ground. 6) Enter these values in the spreadsheet along with new and old bar diameter. Stock was 23.5 in most cases, but you can measure after you remove it. Then enter and ride height change you may want. The number you want is the total height change (delta H) number. (See Screen Shot). 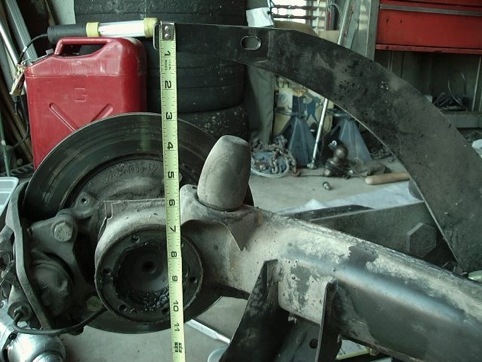 12) Pull torsion bar out on one side of the car only. 14) Measure new height "H"
15) Repeat steps 13 & 14 until proper height change as determined from the program is achieved. 16) Repeat steps 11 through 15 on the other side. 19) Use the spring plate to achieve any fine-tuning needed. Here is Excel program you will need.